EtsyPHAT's Plant Peeps: Be on the lookout for seed grenades! Be on the lookout for seed grenades! 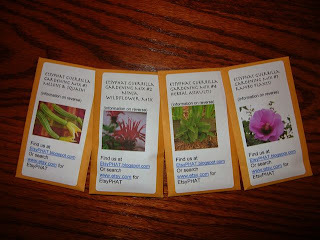 The first round of seed mixes are made, and are starting to make the rounds. We should encourage people to send us photos of their plantings! Cool! I've already got some ideas of where to 'plant' these.